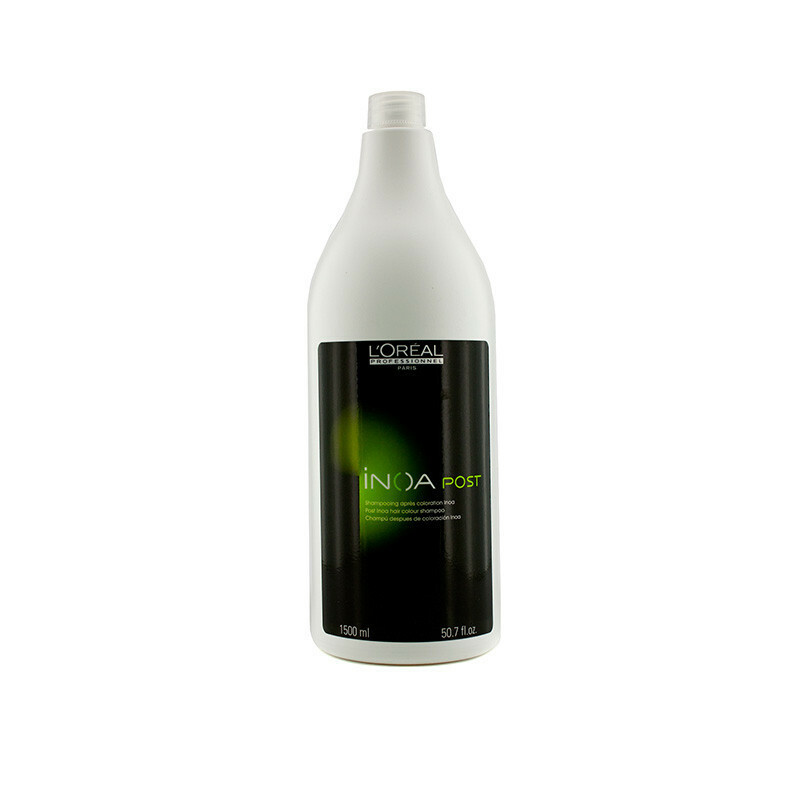 A shampoo for use after an Inoa Supreme hair-color service Helps remove residues to enhance the beauty of colored hair. L'Oreal Professionnel Inoa Post-Color Shampoo is specifically formulated to be used after a Shampoo hair color service to remove residue and enhance the beauty of the colored hair.This Shampoo has been scientifically created to give your hair the nourishment it truly deserves and protect your hair color and gives you best result. Discover L'Oréal Professionnel INOA Post-Color Shampo. It is specifically formulated to be used after a Shampoo hair color service to remove residue and enhance the beauty of the colored hair.